Getting a mortgage will be the most difficult part of your home buying process, but you can have a better experience if you get prepared and start working with your loan officer right from the beginning. The hardest part about buying a home is getting a mortgage. For the most part, you will actually enjoy the home buying process: after all, looking at homes is like “shopping,” and most people enjoy shopping. Looking at homes online, going on showings with your agent, getting to know the different areas and neighborhoods – those are all the fun parts about buying a home. But the mortgage process is messy, complicated, and often intimidating. That’s why we want you to be prepared. 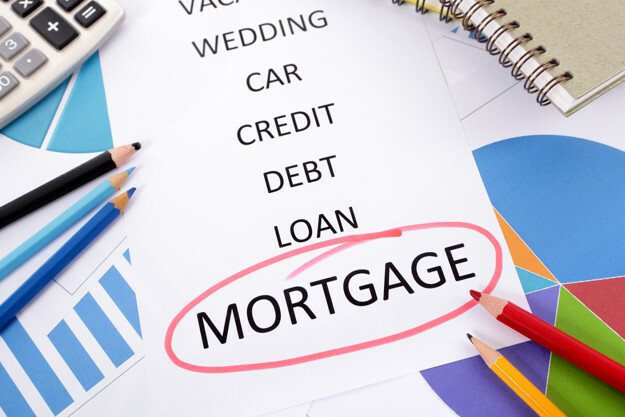 Our general advice to be engaged and proactive is particularly important for getting a mortgage. If you’re actively involved throughout the mortgage process, and if you start planning ahead now, you’ll have a much more pleasurable experience. •Initial Consultation. You’ll meet briefly with your loan officer and get a pre-qualification letter to advise you of your general price range. •Application. Once you find a home to purchase, you’ll complete a formal mortgage application to your lender. •Processing. Your loan processor, who works with your mortgage officer, will review your file and probably contact you about supplementing it with some supporting documentation. •Underwriting. Your processor will submit the file to an underwriter, who could deny or approve the application, but will more likely issue a “conditional commitment” required more documentation or clarification. •Clear to Close. Once you have satisfied all the conditions, your bank will issue a commitment letter and you will be “clear to close” your transaction. How can you be more engaged, so that you are better prepared? Most importantly, you should meet with a loan officer right away. At Hudson United Mortgage, our affiliate lending company, we encourage our clients to meet with a loan officer right at the beginning of their home search, because even a short consultation can answer your questions about the current rate environment, assuage some of your concerns about the process, and also help you get a better sense of your buying power. Too many buyers start looking for a home without a clear idea of how much they can afford, and they waste a lot of time looking at homes that are above, or below, their actual price range. At your initial consultation with your loan officer, you should be prepared to discuss in some detail your financial situation. Remember that loan officers, at least the ones with Hudson United, are under strict licensing requirements to protect the privacy of your information and keep your confidences, so you should feel free to discuss your personal situation without holding anything back. Your loan officer will review your financial profile, give you a general sense of your price range, describe the current interest rate environment, and explain the various mortgage products that might be available to you. Most importantly, by having that initial consultation with your loan officer, you’ll be able to get a pre-qualification letter: a statement on the bank’s letterhead indicating that you have been “qualified” for a particular price range. Now, you should be aware that a pre-qualification letter is not a firm commitment from the bank – you won’t get anything like that until you complete and submit a formal loan application, which you cannot do until you actually find a home to buy. Rather, the pre-qualification letter is really just a general indication of your buying power. First, it will allow you to go through the process of discussing your financial situation with your loan officer, which will ensure that you have a good sense of your true price range before you go out and start looking at properties. Second, and perhaps more importantly, a pre-qualification letter from a reputable lender like Hudson United is almost a “stamp of approval” for sellers and listing agents. In a competitive environment for buyers, a pre-qualification letter indicates that you are credible and serious, and that you have the general financial wherewithal to back up your purchase offers. Indeed, many sellers demand a pre-qualification letter before they will even consider your offers! If you do not yet have a pre-qualification letter, just call 1-866-721-7263 to speak to a Hudson United Mortgage loan officer. We can arrange to get you pre-qualified over the phone and have a letter emailed or faxed to you immediately. All that said, we should note that a pre-qualification letter is not a binding commitment from the bank. You won’t get any kind of formal approval until you have identified a property to buy and have submitted a full application to a lender. Rather, the pre-qualification letter is designed to give you just a general idea of your price range, so that you have a better sense of what you can afford when you start looking for a home. Accordingly, we strongly urge that you have a short sit-down with your loan officer early in your buying process. By forging that connection with your loan officer, you’ll secure one of the most important members of your home buying “team,” and someone you can then contact whenever you have financial questions or issues. 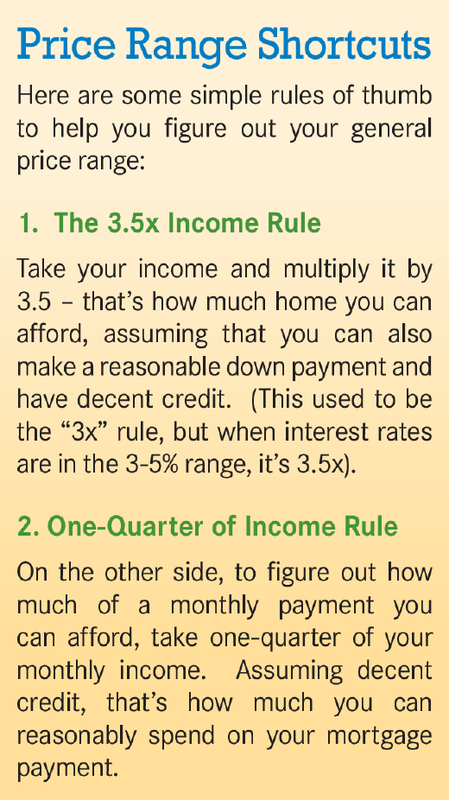 This is really only a general introduction to the mortgage process. If you want a more comprehensive overview of mortgage products, qualification guidelines, and interest rates, check out the Hudson United Transaction Orientation Guide, which is available from your Hudson United mortgage loan officer or your agent.